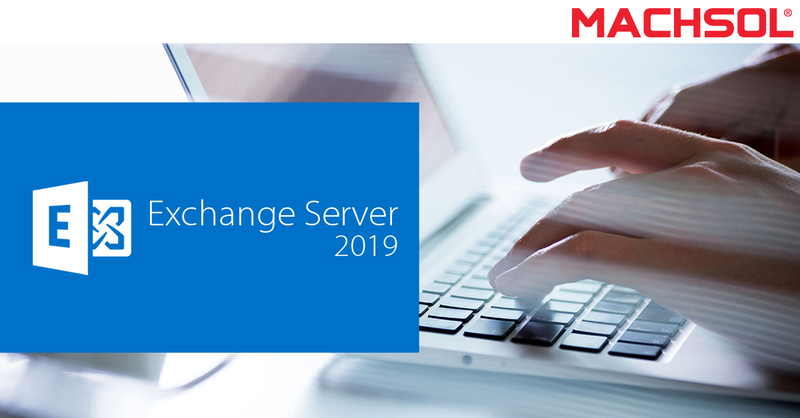 The wait is finally over and all the Microsoft Enthusiasts can now get their hands on the new Microsoft Exchange Server 2019. The final release is available to download form Volume Licensing Service Center. The latest release of Microsoft Exchange Server has been designed to deliver attributes that the valued on-premise exchange online customers expected the most. These features are: improved performance and improved administration, security and management capabilities. The new and improved search technology and scalability improvements have been highlighted. Its architecture has improved with the feature of security in mind. Further, the failovers are made more reliable, connectivity is simplified and calendar man agent is made easier. Microsoft Exchange Server 2019 supports EAI/ IDN email routing and uses Windows Server Core with less code churn with more stability. All these features are ultimately delighting the end users and Microsoft enthusiast even more. According to the latest news by a Microsoft Most Valuable Professional (MVP), Microsoft is seriously considering to add a Standard Edition to its Skype for Business Server 2019 about to released towards the end of this year. There is much anticipation about the offerings Microsoft has planned for its Skype4B users. With features like Hybrid Modern Authentication support for all user located anywhere in the world, improved WebRTC support that makes web meeting a better experience for customers and making the SfB Server 2019 based on a version of a cloud based code of Skype for Business Online, Skype for Business 2019 sure looks promising, let’s have a deeper look at some other features the product has to offer.